BLSA’s 2018-2019 programming will be centered around the core principles of community engagement and educational excellence. We believe that these principles reflect BLSA’s core mission of developing bright young attorneys with strong commitments to service and continuous professional development. The goal for all of our programming is to foster an environment where students are motivated to achieve and inspire others. We hope that by creating such an environment we are adding value to students at the University of Chicago Law School and, by extension, to your firm and the greater Chicago community. In support of our aforementioned efforts, we are seeking a monetary contribution to assist BLSA with our 2018-2019 programming. 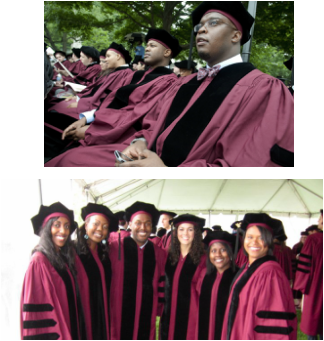 Last year’s gifts allowed BLSA to organize programs that supported the diverse and talented students that the legal community has come to expect from the University of Chicago Law School. Much of BLSA’s programming depends on contributions, and with your support, we can continue in that vein of success. Diverse Faculty Meet and Greet: All students will be given an opportunity to interact informally and build personal relationships with the Law School’s diverse faculty members at the beginning of the academic year. Judge James B. Parsons Legacy Dinner: An annual awards banquet hosted by BLSA, in honor of Judge Parsons, a University of Chicago alumnus, and the first African American to serves as a United States federal judge in a U.S. District Court. Each year an African American federal judge will be recognized for his or her commitment to justice, equity, and public service. We anticipate not only current BLSA members, but alumni from across the country to be in attendance. Annual Black Professionals Mixer: Yearly celebration of Black Excellence during Black History Month to network with other black professionals around the city. Earl B. Dickerson Lecture: In accordance with our goal of service to our community, BLSA plans to host an annual lecture that will feature a prominent Black professional in the law. This lecture will feature a high-profile speaker and will give students and the community an opportunity for a rare encounterwith leaders who shape our nation. Law Student for a Day: Talented high school students will experience law school through a mock law class and a law student Q&A panel. Street Law: BLSA will partner with a neighboring middle or high school to teach the foundational principles of constitutional rights and establish a pipeline for future minority law students. BLSA Family Reunion: BLSA will kick-off the new academic year with a weekend retreat filled with team and relationship-building exercises for incoming first-year students, current law students and some recent BLSA graduates. 1L Mentoring Program: Current 1L students will be matched with professional mentors to create opportunities for informal and formal mentoring. Annual Alumni Recognition Dinner: BLSA will host a formal dinner during the Law School’s annual Reunion Weekend where current BLSA students can engage alumni on a personal level and where the chapter can recognize distinguished alumni. In support of our aforementioned efforts, we invite you to consider sponsoring our efforts. BLSA depends on contributions, and with your pledge of support, we can continue organizing programs which nurture the University's talented students. If you have any questions about our programming or how you might contribute to our efforts, please feel free to contact us personally.